If you register after July 27, 2016 the conference rate is $175. If you would like attend only one day of the conference, you may do so. If you are a speaker you do not have a registration fee. If you are a full-time student you may attend at the student rate. A block of rooms has been reserved under the N.D. 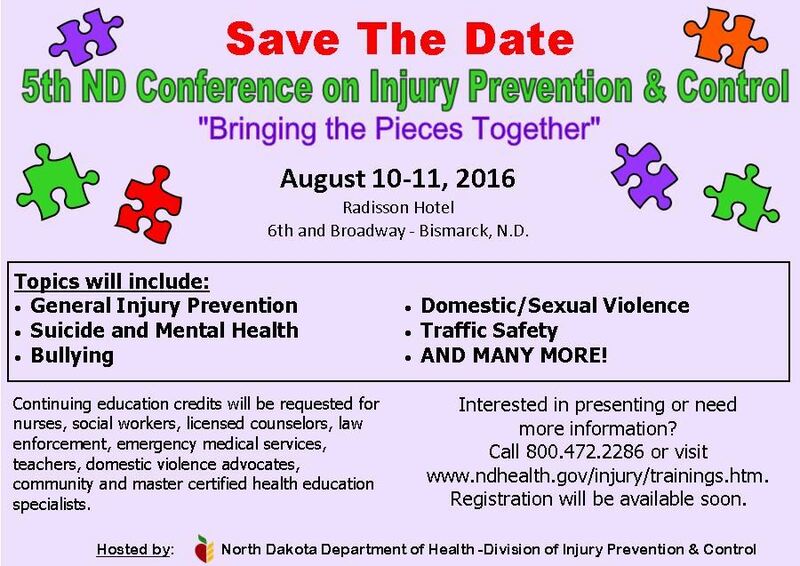 Injury Prevention and Control Conference until July 8, 2016 at the Radisson Hotel Bismarck at the state rate of $80.10 plus tax. Please make your own reservations by calling 701.255.6000. You may also contact Missy Kopp for more information.